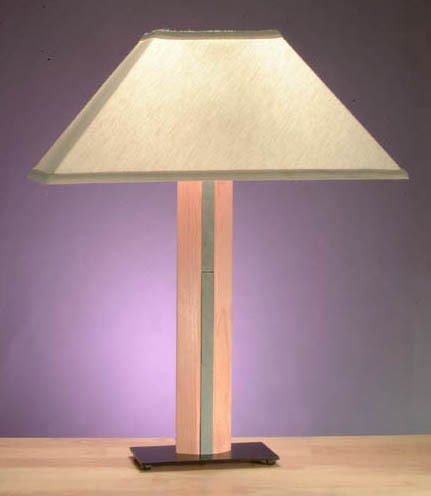 Cherry with Vermont slate inlay and homespun fabric shade. Available in all woods and finishes. Copyright © 2008 Designs For Living, Inc.